…speaking of English Ale Trios, these ones are ‘crafty’… | Simon Says… You really should drink this! ← A trio of English Ales, a good place to start! Thwaites is a pretty large English brewery. Their ‘Crafty Dan’ beers launched a few years ago. Perhaps it’s just pure snobbery on my part but the inclusion of the word ‘Craft’ in the name makes me suspicious. That said, their Triple C makes for pretty acceptable Summer afternoon drinking. The Summer was on a Sunday in Ireland this year, luckily I wasn’t working and was able to spend it in the garden. The ‘C’ is for the Chinook, Citra and Centennial hops used. Despite the fact that three hop varieties are used it’s not that hoppy to my taste and it’s a bit lightweight but sure, you could drink worse. 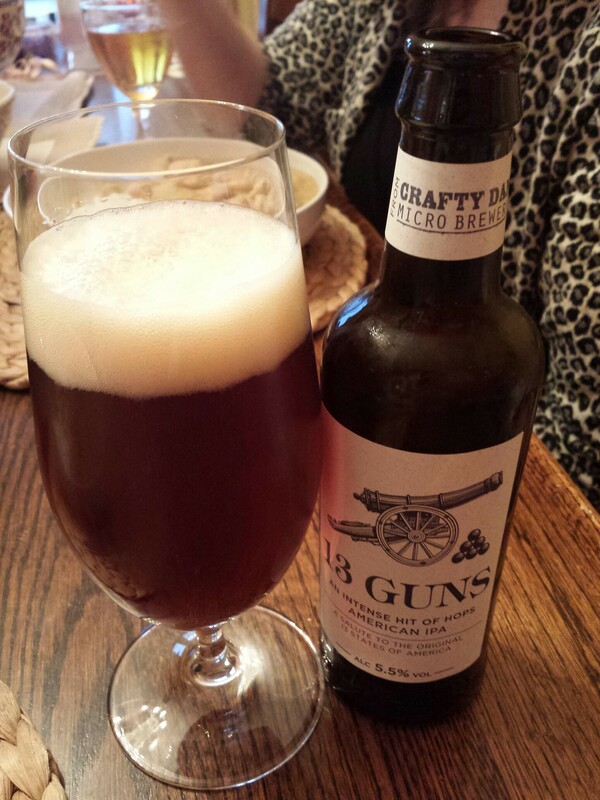 13 guns is an American style IPA and as such has a bit more of a hoppy punch. I had it with a spicy thai curry and it wasn’t bad at all. 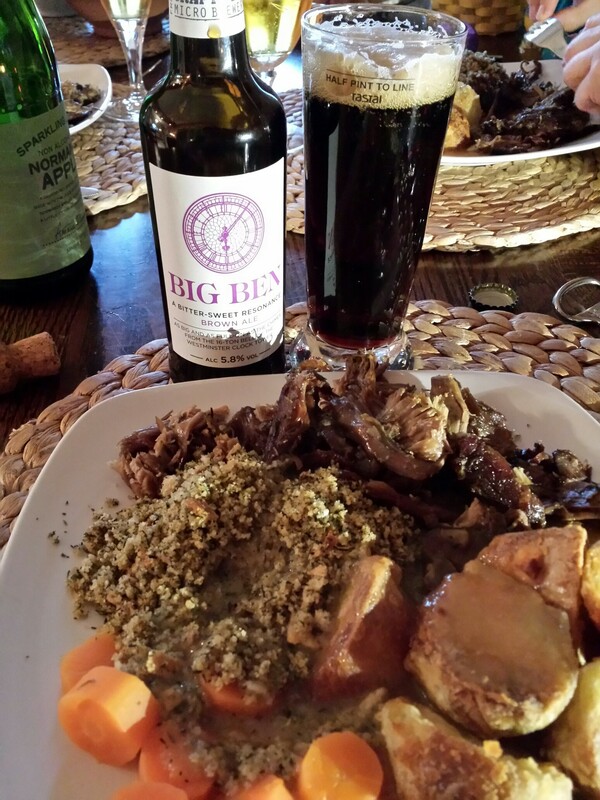 Big Ben is a brown ale. It was malty and a bit sweet. I had it with a roast beef dinner and they went well together without being mind blowing. Now my wife’s Yorkshire Puddings are a different story. 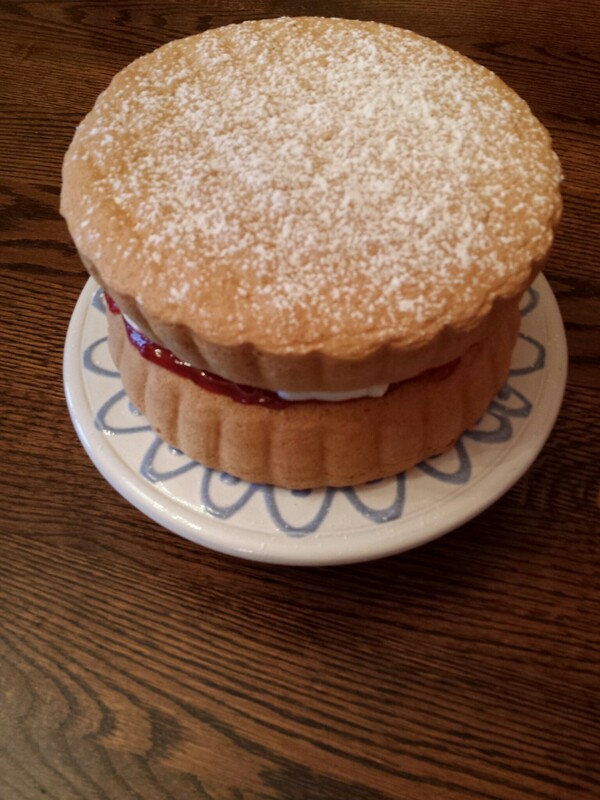 Speaking of her talents, here’s a cake she made yesterday, it looked too good not to share! 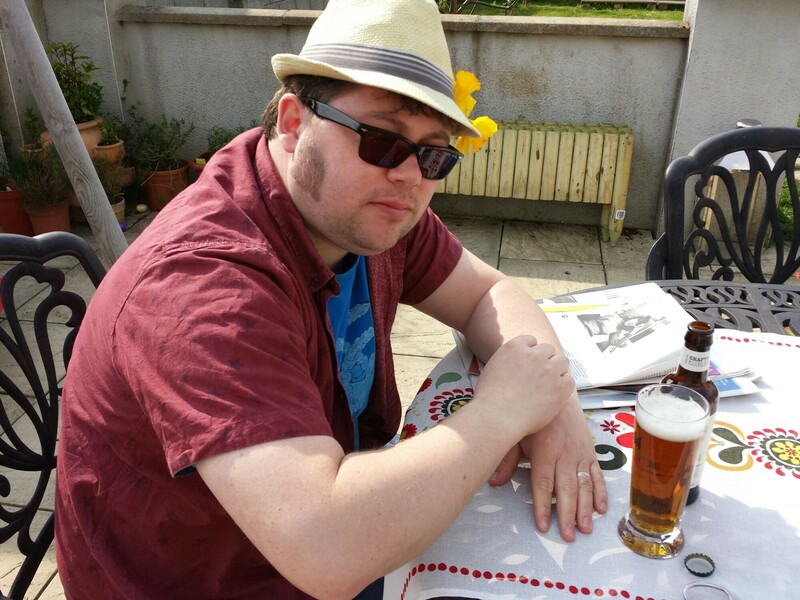 This entry was posted in Uncategorized and tagged Beer, cake, English ale, food, Irish summer. Bookmark the permalink.